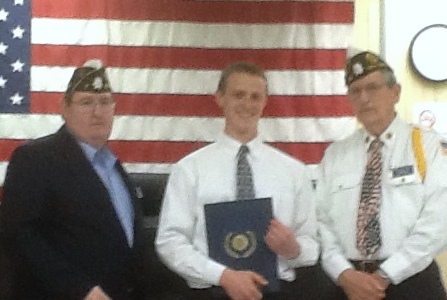 Local post contestants merged on Durham Post 7 this weekend to compete in the District 12 Oratorical Contest. Alex Werden, Chapel Hill High School, won the competition. Chapel Hill Post 6 sponsored him. The contest is open to High School and home school students. Winners progress to division completion and an opportunity to complete in the National American Legion Oratorical Contest. The contest challenges student to better understand the U.S. Constitution, as well as the rights and privileges of American citizenship. Alex now represents District 12 and competes against winners from the many districts in Division III. The contest is on February 9th in Fuquay-Varina. The winning student at the division level receives a $100 division scholarship and then represents the division in a final state level competition. The state competition winner advances to national. Steffanee Powell, a Senior from Riverside High School, represented Durham Post 7.